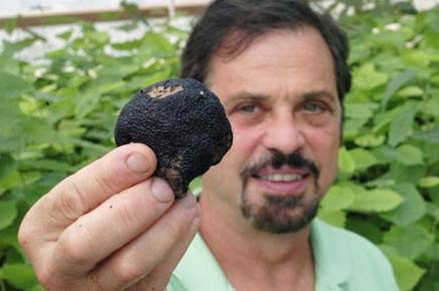 The returns on truffle orchards can vary tremendously, from excellent to ridiculously lucrative. The worst case in a well-maintained one-acre orchard is production of a minimum of 50 pounds of truffles over a three-month period. At a minimum of $300 per pound, this is $15,000 per acre per year. Current wholesale prices are a more realistic $800 per pound, or about $40,000 per acre/per year. Under ideal conditions, up to 125 pounds can be produced per year, which at $800 per pound is $100,000 per acre. The record production is 200 pounds per acre per year, and with a price that has reached $2200 per pound, this would be $440,000! The entire above aside, we at Garland Truffles are confident that $25,000 per acre per year is a reasonable expectation.